Bengaluru-based Wickedride Adventure Services Pvt. 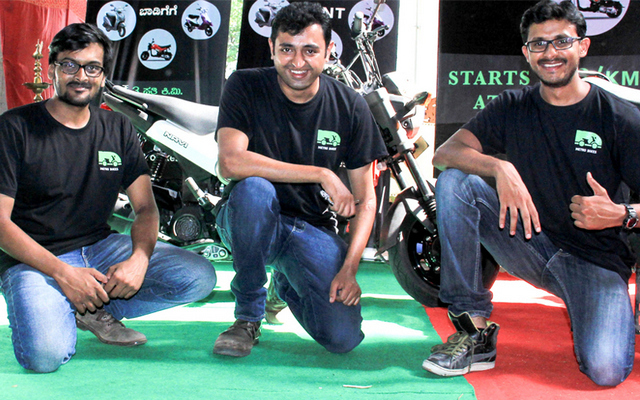 Ltd, which operates bike rental service, Metro Bikes, has announced that it has raised $12.2 million (Rs 83.6 crore) in a round of fundraising led by Sequoia Capital India and Accel Partners. The consortium of investors also includes the founder of TaxiForSure, Raghunandan Gangappa. Wickedride is believed to have clinched the deal with Sequoia and Accel back in June, and according to TechCircle, it values the company between $20 million and $22 million (Rs 137 crore and Rs 151 crore). The platform, which is now also re-branding itself to ‘Bounce’, offers online motorbike and scooter rentals that allow users to pick up the two-wheeler from anywhere, ride to their destination and drop it off at any location. In a press statement, the co-founder of Wickedride, Vivekanand Hallekere, expressed his satisfaction with the funding, saying that the sector is likely to see strong growth in the coming years. According to him, “There is tremendous potential for innovation in the shared mobility segment given the major gap in last-mile connectivity in intra-city travel. We are looking at a market opportunity of $4.5 billion”. The company currently offers its services only in a handful of towns including Bengaluru (formerly Bangalore) and Hyderabad, but hopes to expand its services to all major cities by 2020. Besides scooters, it also offers bicycles, pedelecs and kick scooters on rent. While motorbikes and scooters are omnipresent in India, Bike rentals is a sector that’s yet to catch on – something that Bounce is hoping to change in the near future.